Although there is no end to this region's attractions, most travelers make a beeline straight to the best Central America beaches. Because of the isthmus's warm waters, flourishing marine life, and soft sands spanning two diverse coastlines, the epicenter of the Central America tourism industry is along the edges. From rollicking Pacific shores to outlying Caribbean isles, the beaches of Central America are truly unbeatable. Here are some of the best ones. Placencia is the suggested Central America beach for those looking for a vacation so laid back, it's horizontal. Located at the end of a tiny peninsula in the south of Belize, Placencia boasts the mainland's best beaches and the most relaxed lifestyle. While scuba diving, kayaking, and snorkeling trips are available, climbing a coconut tree to hack down a fruit is the most work you'll probably ever do. On Costa Rica's beach-studded Nicoya Peninsula, Playa Tamarindo reigns supreme as one of Central America's best beaches. Some of the best nightlife in the country is found along the town's tourist-friendly streets, along with fine international dining and hotels of every caliber. 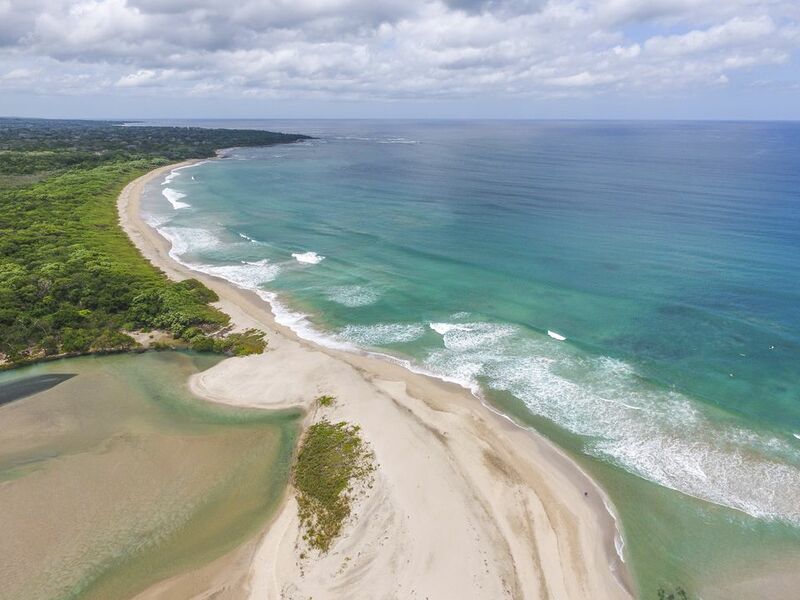 While the beach's surge in popularity might turn some travelers off, its location provides easy access to the peninsula's more remote sandy centers, like Playa Hermosa and Manzanillo. Though Nicaragua has an extensive coastline, most beach-hunters migrate to San Juan del Sur, near the country's southern border with Costa Rica. Although tiny by beach city standards, San Juan del Sur offers a lion's share of attractions: prime surfing, sailing, sportfishing, and sunbathing, along with striking ecological beauty. Tall trees, lagoons, and wildlife abound -- annually, sea turtles nest in San Juan del Sur's sands. Manuel Antonio National Park in Costa Rica enjoys a popularity that hasn't waned in decades, due to its top-rate tourist facilities as much as its heavenly white Central America beaches. The coastline is backed by uncultivated evergreen rainforest, home to 109 species of mammals and 184 species of birds. While accommodations lean towards the expensive side, Manuel Antonio's idyllic vistas are priceless. Though not exactly in Central America, Mexico's Yucatan Peninsula is in such close proximity to the region, many travelers include it in their itineraries. Tulum is the closest, and arguably the best beach destination. The town's incomparably picturesque, clifftop Maya ruins have made the tourism industry boom, yet the pure white, forested, miles-long coastline still provides resorts with a sense of seclusion. Those seeking the perfect tan, note: several sections are clothing-optional. Now more than ever, Bocas Del Toro, Panama is becoming one of Central America's surfing capitals. Yet the area is also extremely popular with more wave-challenged travelers. Its offshore archipelago is made of 68 islands, many of which would fill a beach bum's fantasy of the ultimate deserted isle, while the Caribbean waters are a scuba diver's dream, teeming with tropical fish and multicolored reefs. Honduras's Bay Islands are the top Central America beach destination for those who desire the Caribbean beauty without the big bucks. While neighboring Utila is the shoestring traveler's top choice, Roatan's beaches blow Utila out of the water. Soft white sands border the island's translucent Caribbean waves, home to hundreds of vibrant sea creatures, including the elusive whale shark. Prices are low, nightlife is lively, and fresh seafood is plentiful and delicious.